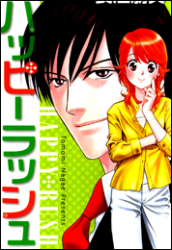 Synopsis: The energetic Natsumi is a newly employed at a Housemaking company. She works hard to get Section Chief Tohjoh's (who she fell in love with at first sight) approval, but she can't seem to get things right. Then one day, Natsumi gets a chance to prove herself to Tohjoh. Will she finally get Tohjoh's attention?